All Society publications including extensive collections of gravestone inscriptions, historic records and surname studies. Leading Family History website Findmypast, has today announced the online publication of all the Society’s journals dating from 1992 to 2016. These journals will be joined by the expansive range of other Genealogical Society or Ireland publications over the coming weeks. The publications consists of a wide range of documents including transcripts of original records, memorial inscriptions, local and surname studies and collections of specialist sources and guides. The information dates back to 1798 and covers many counties in Ireland including Cavan, Dublin, Kildare, Kilkenny, Laois, Louth, Offaly and Wicklow. Journals – In 1992 the Society commenced publication of a journal. 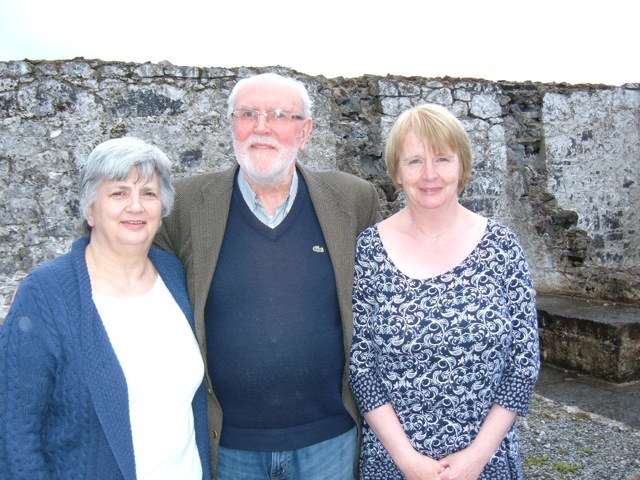 Back then it was the Dun Laoghaire Genealogical Society, but immediately expanded its remit to cover much more than the area around the Borough. 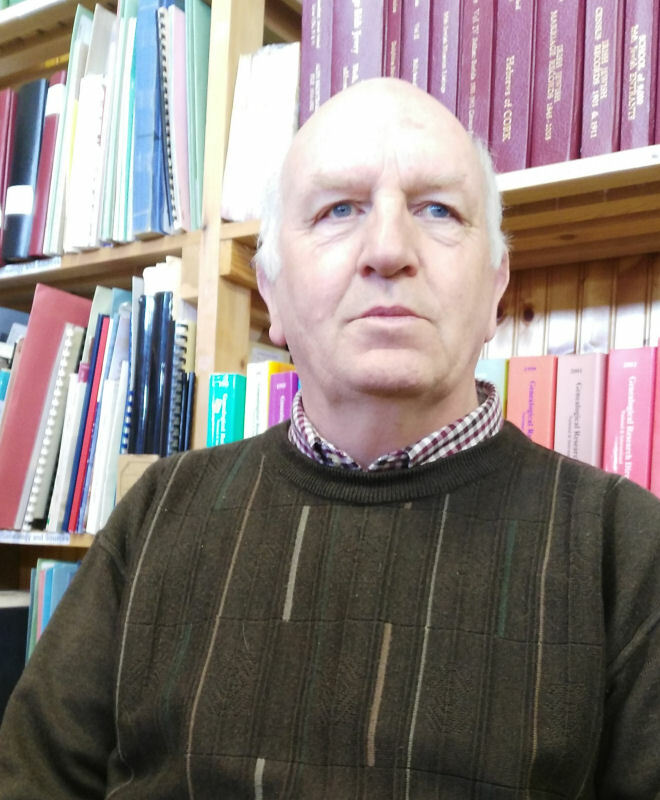 It published 224 articles between then and 1999 when it changed its name to the Genealogical Society of Ireland. 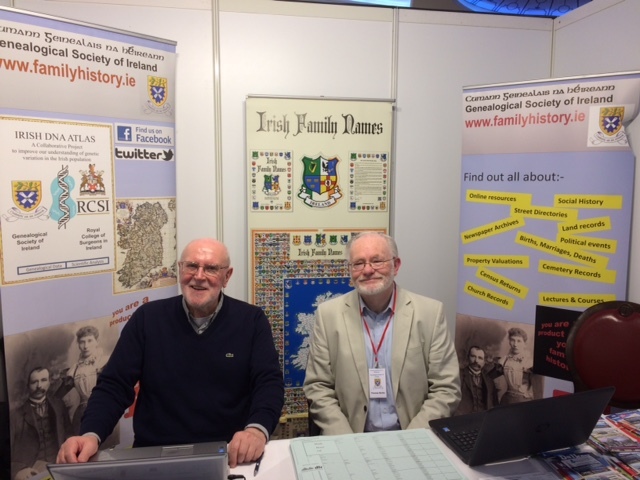 Since 2000 it has published over 600 articles on Irish family history including transcripts of source materials, scholarly articles, name studies and other material. Publications – Alongside the journals, the society has had an ambitious publishing programme. It has so far published over 40 individual volumes of source materials. Its first in 1992 was an 1837 memorial from Wicklow signed by hundreds of residents. Thereafter they have published many volumes of gravestone inscriptions and memorials, several school registers, military records, extracts from the 1821 and 1901 census returns, occupational records, information about the population in 1798, and specific family studies, and much more. 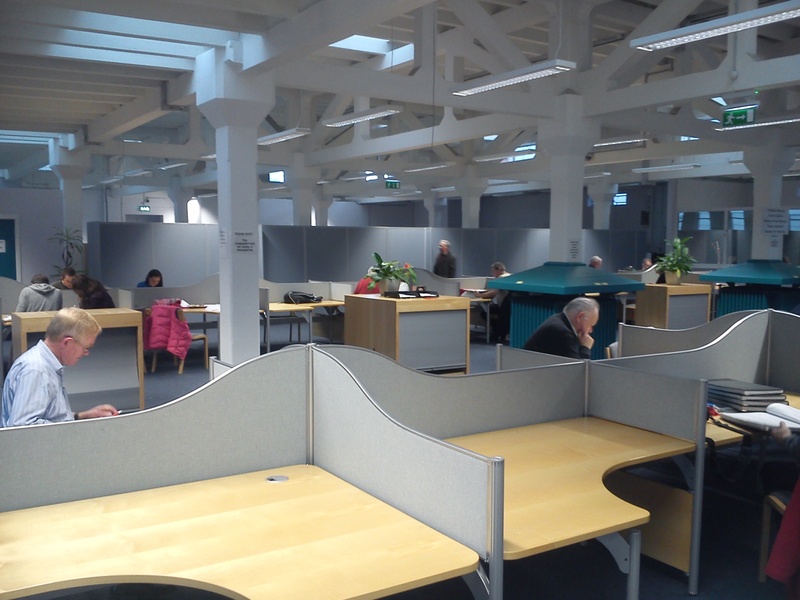 “We are delighted to advance to a further stage of collaboration with Findmypast. It brings our portfolio of publications to a very much larger audience worldwide. In April 2003, Findmypast was the first online genealogy site to provide access to the complete birth, marriage, and death indexes for England & Wales, winning the Queen’s Award for Innovation. Since that time, the company has digitised records from across the globe, including over 120 million Irish family history records, the largest collection online. 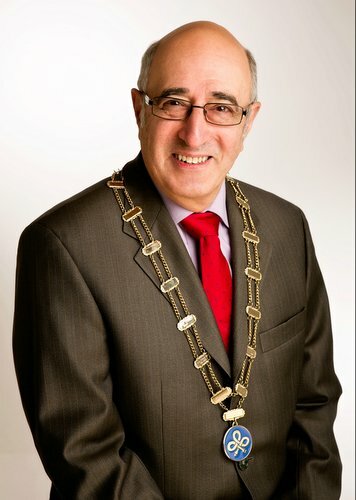 Mr. Gerry Hayden, MGSI, has been elected as the new Cathaoirleach (Chairperson) of the Board of Directors of the Genealogical Society of Ireland at the Annual General Meeting of the Society held on Tuesday 10th March 2015. Other officers elected were: Tony O’Hara (Leas-Chathaoirleach – Vice-Chair); Michael Merrigan (General Secretary); Billy Saunderson (Director of Finance) and the following Directors who will receive their portfolios at the April meeting of the Board, Barry O’Connor, Tom Conlon, Eddie Gahan, Pádraic Ingoldsby and Séamus Moriarty. Gerry Hayden received his Chain of Office from the President of the Society, Mr. Stuart Rosenblatt, PC, FGSI. Gerry succeeds John Hamrock who stepped down after five years on the Board. New president of the Society. 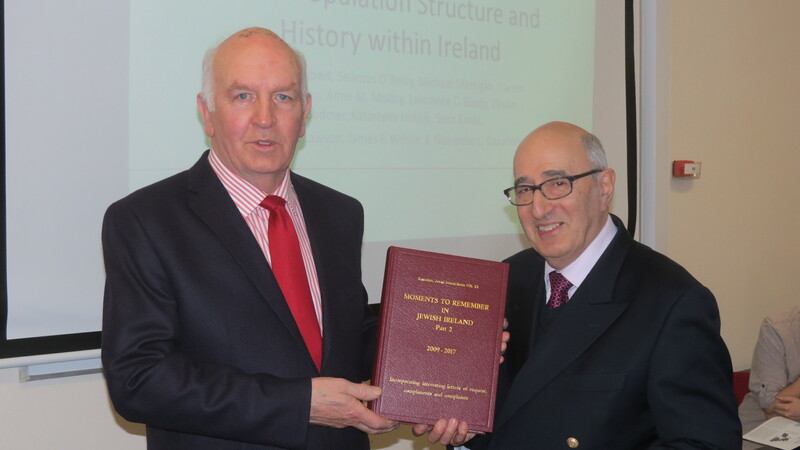 At a meeting of The Genealogical Society of Ireland on 9th December 2014, Stuart Rosenblatt was installed as the new president of the Society. Stuart’s output of genealogical publications is not measured in words, pages, or books; it is more appropriately measured in kilograms. His publications on Irish-Jewish records occupy a long shelf in the Society’s archives. RTE says about him “Rosenblatt devotes “two weeks out of every one” to this unpaid, unacknowledged work. His daughter Sonia tells us how family life has suffered. As a businessman, Stuart is first to admit it’s an expensive hobby.” Hopefully this appointment goes a little way to providing some such acknowledgement. 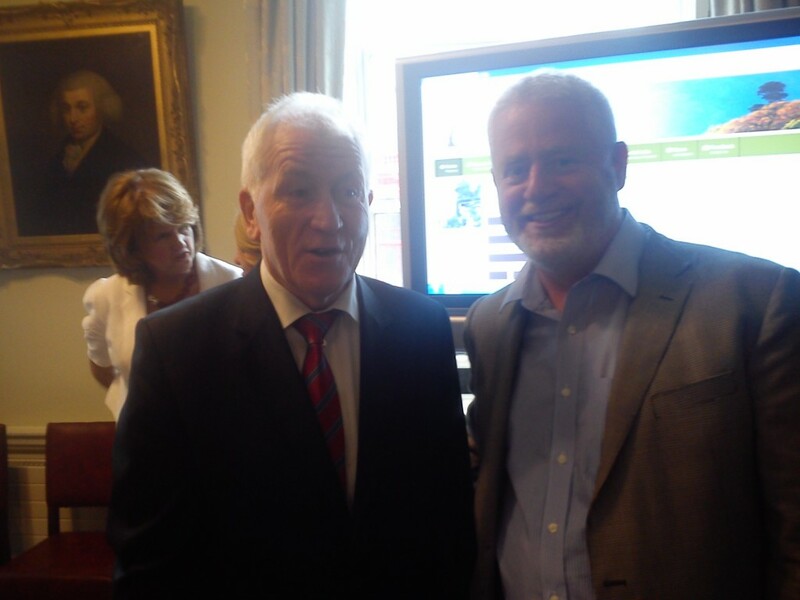 An enhanced version of www.irishgenealogy.ie was launched jointly by ministers Jimmy Deenihan and Joan Bruton at the Royal Irish Academy in Dawson St on Thursday 4th Jul. There was a large attendance from the genealogical community. The website now provides access to the indices of births, marriages and deaths, with the exception that births of children under 18 are not included. me and which is surname. I’d hope that these will be ironed out soon. 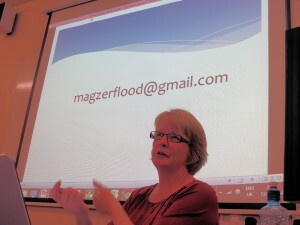 The lecture was “Technology and Genealogy from a layperson’s point of view” – by Maura Flood. If Maura is a layperson on computer technology then we are all doomed. She has a wealth of knowledge on the manipulation of information in the context of genealogical research and uses every trick in the book for easy and seamless transfer of stuff between different machine types operating to different standards. It was a difficult gig. Half of the audience was completely bamboozled, while the other half were begging for more – this has to be expected in an audience of this type. Her favourite package by far was Evernote, and she would regard it as her most essential multi-purpose tool. Her favourite hardware is the Ipad with bluetooth keyboard. As the business of Genealogy becomes more and more dependent on technology, we would do well to ensure that lectures on technology are included in our schedule every year. Everyone knows that the General Registration Office (GRO) has moved to Werburg Street and that the external appearance is very off-putting… but what are the facilities inside like?. I took my camera on a recent visit. The service of providing certs is just as it was in the previous premises – no better, no worse. There are more desks for research in the Werburg St premises, but the lighting on a small number of desks is not great. One of the big problems is the inadequacy of toilet facilities. There is just one toilet available to researchers – that is one unisex cubicle. Hopefully, this will be corrected soon to bring the place up to a basic standard in that respect. In the meantime, do make sure to make suitable arrangements if you intend to spend a long period there. A full collection of 78 CDs stuffed with pdfs of historical/genealogical documents have been donated to our archives by the publisher www.flatcapsandbonnets.com and have arrived recently. 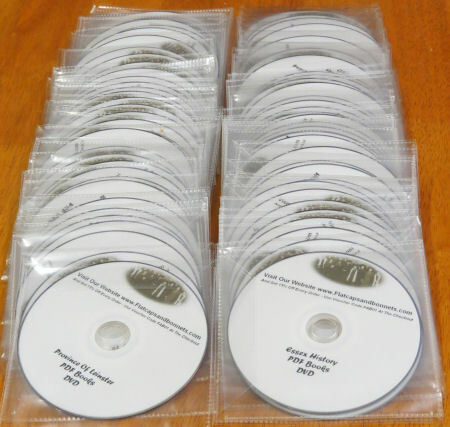 Three of these CDs are specifically devoted to significant documents originated in Ireland. You can see further details of the Irish discs here and of the collection in general here. The online website www.flatcapsandbonnets.com, has presented to the Genealogical Society of Ireland a full set of 75 CD-ROMS of collections of historical and genealogical books and other documents. The set includes 3 CD-ROMS dealing specifically with Irish content. Further details of the Irish discs here, and of the collection in general here.